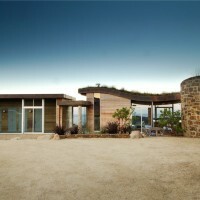 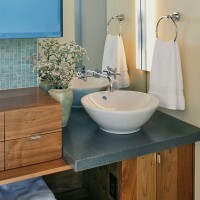 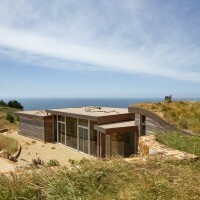 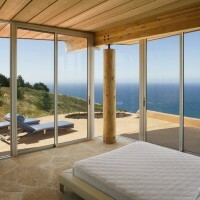 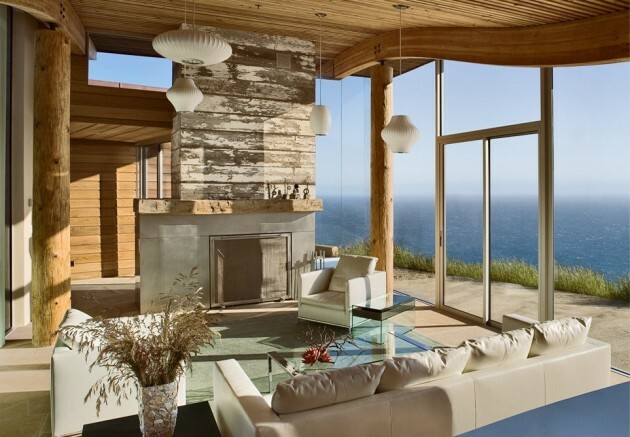 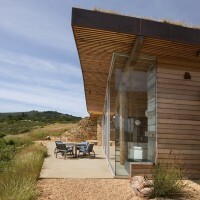 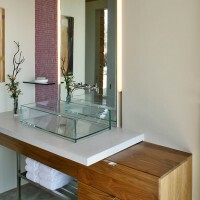 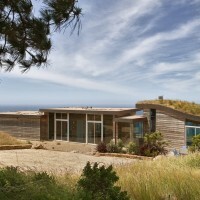 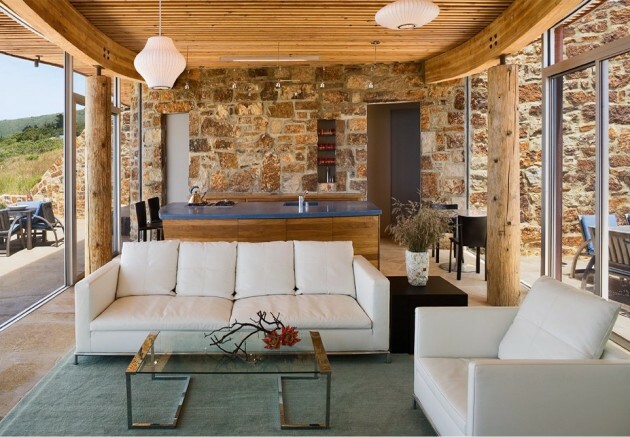 Carver + Schicketanz designed the Dani Ridge house in Big Sur California. 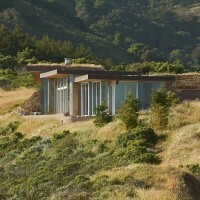 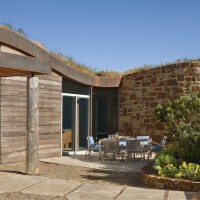 In order to conceal this home from its uphill neighbors a shelf was cut into the narrow slice of grassland located between an access road on one side and the steep slopes of the West Coast on the other. 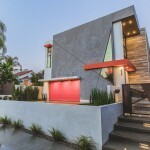 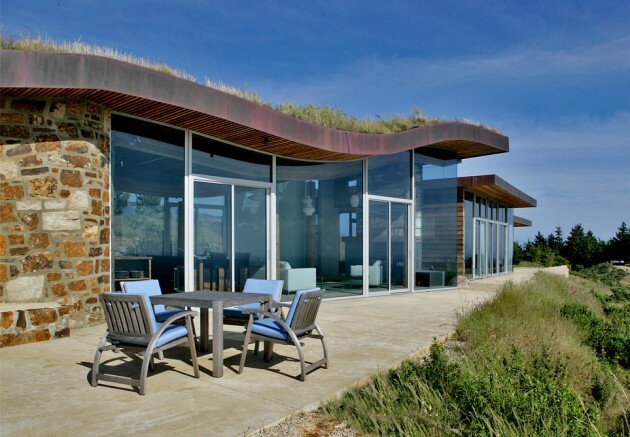 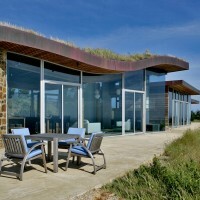 The uphill land extends as a green roof over the underground portions of the home-terminating on the gently curved roof of the living room. 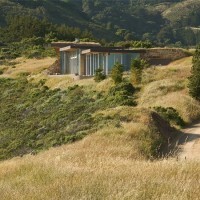 All utilities, including the 5000 gallon water storage tank, were placed underground in order to preserve the surrounding landscape.